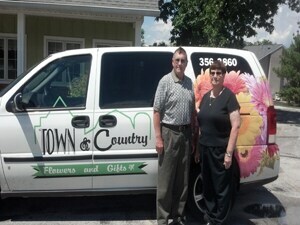 Town & Country Flowers has been proudly serving Huntington County since 1982. My husband Rod and I purchased Town & Country in 1997. We are committed to offering the finest floral arrangements and gifts with friendly and prompt service. Because all our customers are important, our professional staff is dedicated to making your experience a pleasant one. We go the extra mile to make sure your floral gifts are prefect. We carry Carson Wind chimes, Yankee Candles and DeBrand Chocolates. 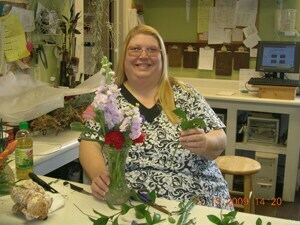 We are a full service florist with professional designers on staff. 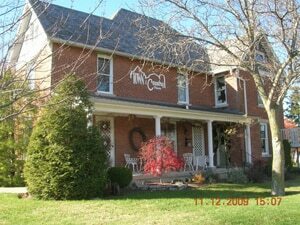 We offer contemporary and traditional arrangements. 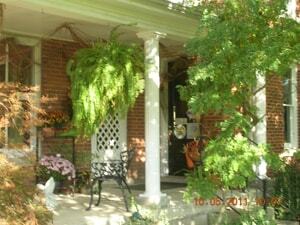 We carry a large selection of fresh flowers, plants and silk designs. Let us make a gourmet fruit basket for your special occasion. Town & Country Flowers, the only shop in town that has it all! We are closed on Sundays (except for funeral deliveries). Our shop will always be closed on the following holidays: Thanksgiving Day, Christmas Day, New Year’s Day, Easter, Mother’s Day, Memorial Day, Father’s Day and Labor Day. Our commitment to you is 100% satisfaction on all your floral and gift purchases. If you are not completely satisfied, let us know by calling (260) 356-3860. Myers Funeral Home, Deal Rice and VanGilder, McElhaney-Hart and Bailey-Love Mortuary. 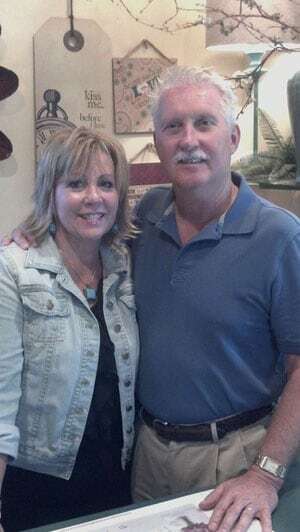 If you have any questions or need more information, please contact us by e-mail at jeannie.townflowers@gmail.comor call us directly at (260) 356-3860. We're always here to serve you and make your flower-sending experience a pleasure.